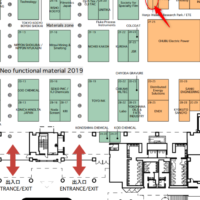 ETE Ltd. will exhibit at ENEX 2019 (Energy and Environment Exhibition) to be held at Big Site from January 30 (Wednesday) to February 1 (Friday). Exhibition booth is “2L-25” with the name “Honjo Waseda International Research Park / ETE”. 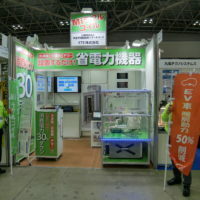 This booth is near the center of East Hall 2, in the back of the large booth 2F-25 of Chubu Electric Power. We will introduce new technology. We are ready to sell the technology of ”Neo-Air” Next Generation Air Conditioning System for EV which demonstrated at ENEX 2018 and HVAC & R 2018. For details, please see this PDF. 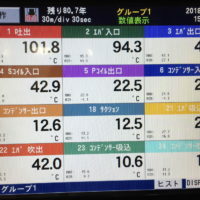 With the next-generation heat pump system using the refrigerant R134a, the temperature of the compressed refrigerant gas from the compressor reached a high temperature of 101.8°C at a pressure of 1 MPa. We will demonstrate the prototype machine at the exhibition hall. We decided to exhibit at the energy-saving exhibition ENEX 2017, following last year’s exhibition. Besides the energy saving device “Miracle Coil”, new products such as a generator are also planned to exhibit. ＝＝＝＝＝＝＝＝＝＝＝＝＝＝＝＝＝＝＝＝＝＝＝＝＝＝＝＝＝＝ Venue: Tokyo Big Sight Date and time: Feb. 15(Wed.)-17(Fri.) 2017, 10: 00-17: 00 each day Details: http://www.low-cf.jp/index.html Booth Location: East 2 Hall 2P – 20 ＝＝＝＝＝＝＝＝＝＝＝＝＝＝＝＝＝＝＝＝＝＝＝＝＝＝＝＝＝＝ We have some invitations. Those who need invitations, please contact us from inquiries. We are looking forward to seeing you at our booth. Copyright © ETE Ltd. All Rights Reserved.